The best strategy to have some control over what your family spends is to create a home budget plan. A monthly budget plan can help you decide how to spend money based on the actual family income. By calculating the monthly income over monthly expenses incurred, you will get a clear idea of how much can be provided for family needs. Budgeting becomes difficult and complicated when the total income is not adequate to meet the needs of the family. However, there are ways on how to manage finances wisely such as resisting the urge to buy on impulse – cut back on your spending, buy only what you and your family needs. Take advantage of availing discount codes, browse on promotional sites like Coupon Codes Raja that offers discount codes to buy your daily essentials like baby diapers, groceries, vitamins and supplements and more. You can save money by using coupons and voucher codes as you can purchase items and products at a lower cost compared to its actual market price. You can also cut down your bills by switching your TV, internet and phone subscriptions to an all-in-one service package. Furthermore, get extra savings on electricity by using LED lightings and solar panels. You can keep your operating expenses on track through a well-planned budget. Remember that it is important to involve the family members for your budget to be operational. Here are pointers on how to create a simple yet workable home budget. Know your monthly income; determine the total income available in a month by adding all income sources together. List down and have a record of all the monthly expenses. Find out which expenses are fixed and which are flexible by making a list of monthly needs per category. Food – milk formula consumption for one month when there is a baby in the family, groceries and other foodstuffs. Utilities such as water, electric and telephone services, vehicle gas and debt payoff which are paid monthly. Home - Rent or mortgage payment, insurance, property taxes, home repair and furnishings. Education – this includes tuition fees, school supplies and daily school allowances of your children. Medical Care – family vitamins, health supplements and maintenance medicine for elder family members. Recreation and entertainment – this category is flexible as family needs relaxation after hard work and study. Other expenses - clothing, salary for helpers and more. Savings – money saved can grow in the form of investment aside from using it for family emergency situations. Sum up all the expenses, then create and base your budget on a system of priorities. 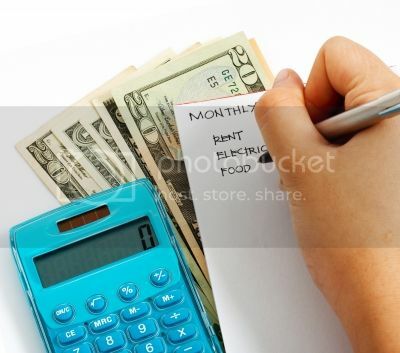 Determine which among the monthly expenses needs to get rid of. However, do not forget to purposely set aside allowances for savings. When income is properly budgeted time, energy, and utilities are also used well. Moreover, you can free up even more money to put toward your other future financial objectives.